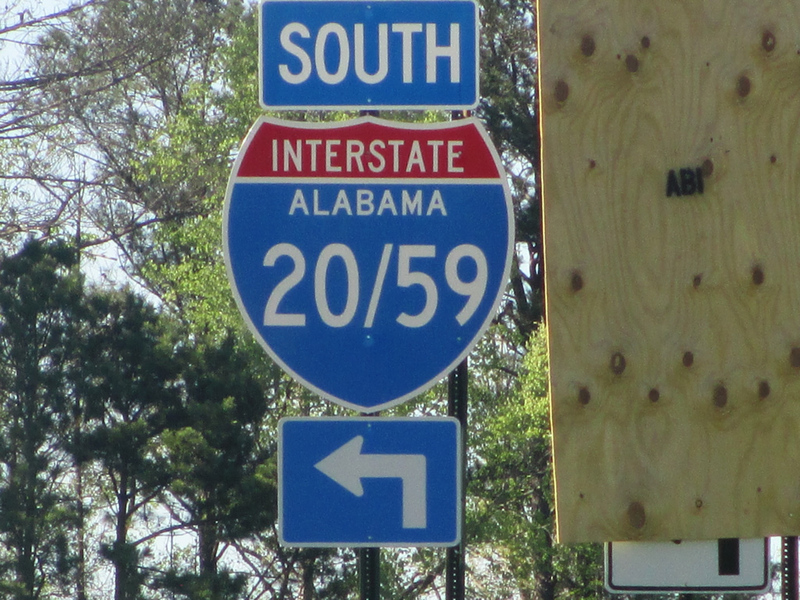 Rare instance of a split numbered shield for Interstates 20 and 59 near Eutaw. Photo by Matthew Taylor, 5/3/2015. Click here to browse through the Alabama selection of our catalog of historic signs!